The defense today called two more witnesses to try to solidify its insanity case. Now they’re talking about the charge of aggravated child abuse, and what definition they should give the jurors. “I’m not sure aggravated child abuse applies at all,” Manuele says. Jonchuck rocks in his chair, his shoulders shifting front and back, staring at the judge. Now they’re discussing the definition of aggravated child abuse, which includes “intentionally struck or touched and caused great bodily harm.” It also mentions a weapon. There was no evidence that Jonchuck struck or touched his daughter inappropriately. And there was no weapon, since he dropped her off the bridge. Both sides agree to wait until then to finalize the language. Now they’re discussing an instruction about weighing evidence. Some elements of that instruction don’t apply, like if a witness has a “general reputation” for dishonesty or untruthfulness. Helinger makes a joke about whether she should instruct the jurors that the lawyers are not on trial and to disregard their appearances. It goes back to the conversation in the morning about what commenters on the live stream have been saying about how the lawyers and judge look. The discussion ends. 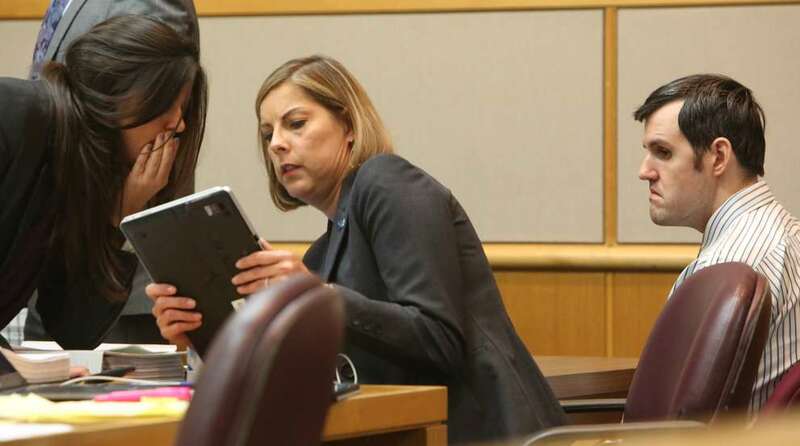 Lawyers will be back to pick up the jury instructions Monday at 10 a.m.
As soon as the jury leaves, the judge says she and the lawyers will begin the charge conference, which is when both sides and the judge hammer out jury instructions. They begin discussing the possible charges. The jurors could find Jonchuck guilty of first-degree murder, but they could also reach other, lesser outcomes, too. That includes second-degree murder or manslaughter. 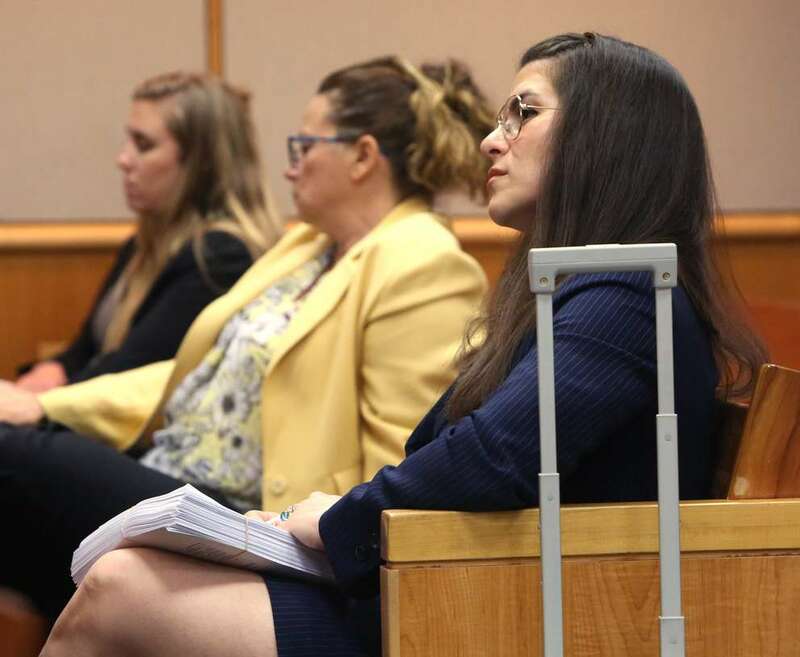 The state also would like the jurors to be given instructions on felony murder, which is when someone dies while a person is involved in the commission of a felony — in this case, aggravated child abuse. The jurors will also be instructed on the not guilty by reason of insanity option. All of these potential outcomes carry rules and descriptions. There are portions of the jury instructions labeled “if applicable,” and the lawyers are negotiating which parts they think apply. The defense has a motion Helinger is reviewing regarding jury instructions. The purpose of the motion, Manuele explains to the judge, is that the jury in this case must consider two burdens: “beyond a reasonable doubt” to determine if the prosecution has proved murder, and “clear and convincing evidence,” a lower standard the jury must use to determine if the defense has proved Jonchuck is insane. The defense is concerned the jurors might conflate the two and consider them synonymous. Clear and convincing evidence is evidence that is precise, explicit, lacking in confusion, and of such weight that it is sufficient to persuade you that the Defendant's claim is highly probable. It is a higher standard of proof than a preponderance of the evidence, but less exacting than proof beyond a reasonable doubt. A ‘preponderance of the evidence” is enough evidence to persuade you that the Defendant’s claim is more likely true than not true. This may seem esoteric but it’s important. It all goes to what, exactly, the jury will be told before deliberating. The judge denies the defense’s motion, saying the lawyers can articulate the difference in the burdens when they talk to the jury. 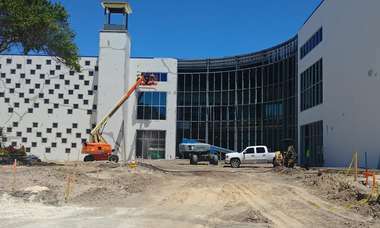 Closing arguments will start 11 a.m. Monday morning. The judge is designating four hours for closings. The prosecution goes first, then the defense, then the state goes again. Each side gets two hours, but the state has to split up its time. The jurors will order lunch, and it will be waiting for them when they go back to deliberate no later than 3 p.m. Prosecutor Doug Ellis takes the floor to cross-examine Maher. He asks where organized or disorganized delusion is described in the DSM. “Nowhere is it listed in the DSM,” Ellis says. The DSM is the Diagnostic and Statistical Manual of Mental Disorders, which has been mentioned a lot during this trial. Maher holds his ground. He doesn’t have to reference the book, he says, he just knows the page number off the top of his head. And he knows even if the term he used doesn’t appear, his description is correct. “One hundred percent positive,” he says. “Where’s brain illness in the DSM?” Ellis asks. The psychiatrist says brain illness is not a diagnosis included in the manual. Ellis says Maher repeatedly used that term, though. In response to further questioning, Maher says that a stimulant can cause a manic episode in anyone. He never saw the actual EEG he referred to being in Dr. Arthur’s records. This was brought up yesterday in Lazarou’s testimony, that CT scans and MRIs are in the medical record, but there are no actual EEG results. Ellis is done with his cross-examination. Now the jurors have some questions for the psychiatrist. Some flip through their legal pads, looking at their notes. Helinger reads: “When did the term ADD, attention-deficit disorder, start being used? What was the condition called before that?” The juror wonders were those kids just called hyperactive? Maher says back to the 1960s ADD was appearing in research literature. Hyperactive kids was how some of these children were characterized before, he says. Maher explains: “What you see as a physician is the appearance of side-effects and no other change.” Antipsychotics, he says, wouldn’t cause someone to become psychotic, but they would cause someone to be sedated. He tries to think of a medication that, if improperly prescribed, could make a person appear worse when they’re not worse. He cannot but says there probably are some. “I don’t have to malinger if I’m not faking anything, I’m just on medication and that’s it,” the juror says, trying to explain. 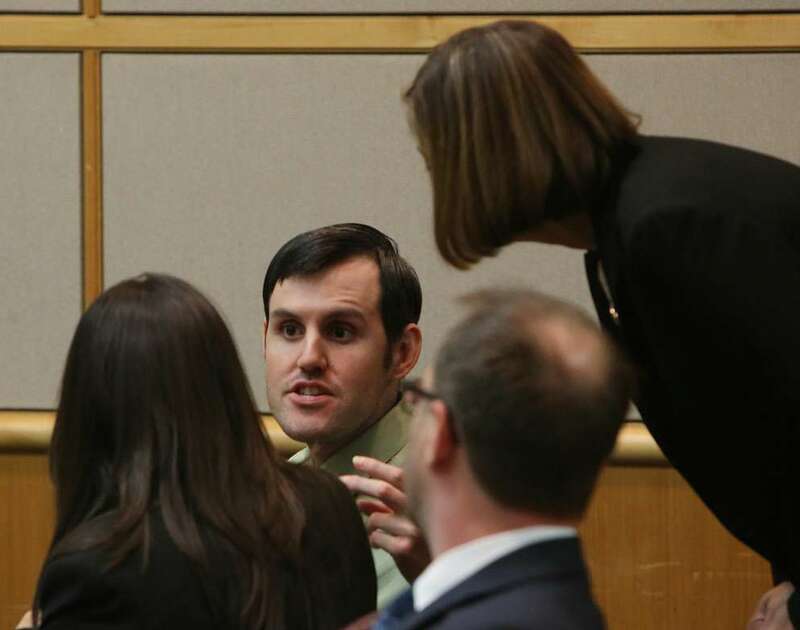 The juror is essentially asking if Jonchuck is just sedated, would he even have to even malinger for four years? Or would he just appear sedated because of drugs? “A person in that situation, in order to present themself as mentally ill, would still have to manufacture things, distort things, to appear mentally ill,” says the psychiatrist. The juror is continuing to go back at the expert with follow-up questions, kind of like a lawyer. Even when they’re working well, medications don’t totally cure the person, the psychiatrist says. “So if I’m acting 30 percent crazy, can you tell?” the juror asks. “In a hospital, yes,” Maher replies. “Do seizures make mental illness worse?” a juror asks. No other questions, but McNeill wants to follow up. “In talking about medications, if you’re not mentally ill, does a treating physician start out with the lower doses we talked about in order to make a determination?” she asks. “Judge at this time, the defense rests,” public defender Jessica Manuele says. That’s it. We are done with testimony in the murder trial of John Jonchuck. “Did John have an abnormal EEG in 2015?” asks McNeill. “An abnormal EEG is an indication, a direct measurement, or abnormal activity of the brain, and is indicative of a seizure disorder,” Maher says. “You put a stimulus present that a normal brain is not going to respond to in any way.” But an abnormal brain might respond, he says. Jonchuck had said strobe lights bothered him, which is typical with someone with a seizure disorder, the psychiatrist says. He says one way to determine if someone is or isn’t malingering is to put a camera on their head 24 hours a day for a month. That’s obviously not practical. A better way is to put someone in a hospital, where there is 24-hour supervision, like Jonchuck’s situation. “In this case, I see no indication from the record whatsoever that malingering was part of this picture, with regard to John," he says. Could someone malinger for four years, McNeill asks, which is the amount of time Jonchuck was in the state treatment facility? “In my opinion that would be absolutely unheard of,” says the psychiatrist. McNeill has no more questions. A quick bench conference, and the judge calls for a recess until 2:55 p.m. The jury files out. Cross-examination will come next. Prosecutors and Lazarou duck into a waiting room, where it’s likely Lazarou is helping them formulate their questions for Maher. McNeill brings up the psychopathy checklist. Maher says he’s familiar with it, but doesn’t think it adds anything to an understanding of this case. McNeill asks if the psychiatrist has reviewed Jonchuck’s jail records. He did. 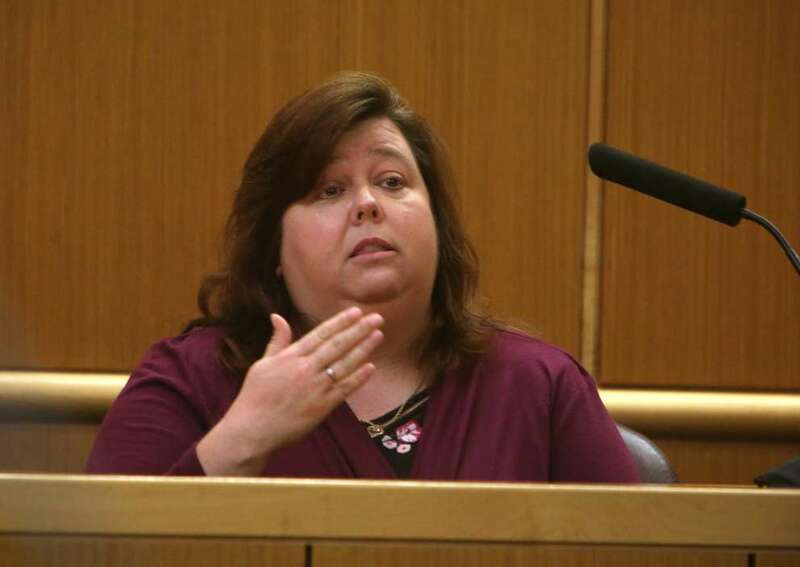 “Did you note that John weighed 225 pounds when he was booked into the jail?” McNeill asks. The psychiatrist says he did. “Can you explain why the doses (of John’s medications) have changed? Lazarou had suggested the low doses of medication Jonchuck was on at the mental health treatment center outside of Gainesville were reasons for her to question if he was really mentally ill. Listening to Maher from the gallery, she takes notes on a stack of papers. His illness impaired his abilities, says the psychiatrist. And as his brain deteriorates more, he might need higher doses. McNeill asks Maher to explain the different levels of organization to delusions. “Thinking that you’re God, or the fallen angel Michael, is also a grandiose delusion with another piece to it. It’s shifting from you’re all-powerful to you’re impotent, you’ve lost all your power. It’s going from grandiose to being completely powerless,” Maher says on the witness stand. McNeill asks: If the person hears something about their delusion, would that make the person fall into a delusional state that they can’t be pulled out of? No, says Maher. “People have all kinds of reactions to their delusions being challenged,” he explains. Some could react aggressively and even violently, he says. Other people you can talk to, and say, “This really doesn’t make any sense.” Some people withdraw when you challenge them. Other people respond by saying, “You don’t believe me, but it’s really true.” Other people might question their belief, once you point out it’s not true. Maher speaks slowly, giving detailed responses to all of McNeill’s questions. Even when he isn’t using Jonchuck’s name, or speaking directly to this case, it’s clear he’s offering a completely alternate analysis to Lazarou. Sometimes he looks at the jurors as he speaks. Several are still taking notes. In general terms, Maher is basically saying the defense’s argument, that Jonchuck was insane, is completely plausible. When prosecutor Doug Ellis cross-examined him before, Maher sometimes seemed shaken up, but so far this direct examination has been effective for the defense. “Could what John experienced in December, into January when Phoebe died, could that have been his first psychotic break?” asks the defense. Dr. Gary Arthur, Jonchuck’s former personal doctor, recognized psychotic symptoms in Jonchuck, Maher says. The next witness is psychiatrist Michael Maher. Public defender Jane McNeill has him reintroduce himself to the jury. Maher testified last week that Jonchuck was insane at the time he killed Phoebe. What effect does a stimulant like Adderall have on people with mood disorders? McNeill asks. And: “The second, important part of that is whether they have a history of taking other drugs that might have an affect on their mood disorder,” Maher says. “Would it be proper to rule out an adult diagnosis of bipolar disorder based on the fact that someone had been prescribed a stimulant, like Adderall, in the past?” McNeill asks. This is exactly what Lazarou said in her testimony yesterday, that she ruled out bipolar disorder because Jonchuck had taken Adderall. No, Maher says. “There just isn’t that kind of correlation present.” There’s nothing in literature that says the inclusion of Adderall means the diagnosis is or isn’t anything in particular, he explains. “Is there a primary medical specialization board?” asks McNeill. Yes, says the psychiatrist, naming the American Board of Medical Specialties. “It is the only organization that certifies medical school in the United States. Lazarou, who has come back into court, looks up from the papers she’s been reading in her lap. “The actual hallucination lasted one to two days, but after that we stared characterizing that as a delusion,” Davis says. He wasn’t seeing dinosaurs after the first two days, she explains, but he still believed they were in the parking lot. “Was he embarrassed by that?” asks the defense. “Yes he was,” says Davis, who was on the team treating Jonchuck during his entire stay at the hospital. Jonchuck was stressed out by having to talk to experts, Davis says. Not just one expert, but all of them. The hospital never diagnosed Jonchuck with malingering, Davis says. Williams is running through the points Lazarou made yesterday, but he’s essentially asking Davis to rebut each point. The prosecutors have already objected several times. Davis brought Jonchuck to meet the defense team when it went to the hospital, and saw him two or three times a week while he was there, over a course of four years. “Does John pause between someone asking him a question and him answering?" Williams asks. Again, this line of questioning is meant to cast doubt on Lazarou’s testimony that Jonchuck was uncooperative in her interview with him. “Are you aware of the term empathy?” asks Williams. Davis says yes, then the prosecution objects. Another bench conference. That’s three so far. “Does John show empathy?” asks the defense. Yes. “I’ve seen him show empathy to his friends in the facility. ... If one of his friends didn’t get a visit, I’ve seen him show empathy then,” Davis says. Did John tell you why he was stressed about talking to the experts? Williams asks. Bolan objects, citing hearsay. Helinger sustains. Williams moves to another question. Davis says she brought Jonchuck to his first evaluation with Lazarou. “Did you hear what Dr. Lazarou said prior to that evaluation?” asks Williams. “I heard her say that she didn’t need to evaluate him to know he didn’t have a mental illness,” Davis says. Several jurors scratch notes in their legal pads. “That’s all I have, judge,” Williams says. Now the prosecution gets to cross-examine her. Bolan asks where Lazarou was when that statement was made. Davis describes how the psychiatrist was near an elevator. “When you are alleging that she made that statement, you are alleging that she made it when everyone was present, right?” asks Bolan. Yes. That includes the prosecutors. “You were the only one who heard the statement?” Bolan asks. “Well I don’t know what you heard," Davis says. Bolan asks if she heard the prosecutors respond? Davis says she didn’t. Davis says she also heard Lazarou mention interviewing Jonchuck’s mother and uncle, too. “I was kind of shocked,” Davis says, explaining her reaction to Lazarou’s comment. This testimony ties directly into the defense’s cross-examination of Lazarou yesterday. The public defenders are using Davis’s recollection to suggest to the jurors that Lazarou had made up her mind before she even interviewed Jonchuck, and thus that her evaluation is meaningless. That’s it for questioning, and the jurors don’t have any follow-up for Davis either. “The state will rest,” he says. Psychiatrist Emily Lazarou, who testified all day yesterday, sits in the courtroom galley with a silver suitcase of documents. We don’t expect to hear from her again today, so maybe she’s just watching. Her testimony over the last two days, though, will likely be the subject of the defense’s questions. The first rebuttal witness is Heather Davis, who works at the mental health treatment center where Jonchuck has been housed, outside of Gainesville. She was there when Lazarou went to interview Jonchuck to make her evaluation. As Davis takes the stand, Lazarou leaves the courtroom. “Did you see Mr. Jonchuck upon his arrival at your facility?” defense attorney Greg Williams asks. She says she saw him when he arrived in 2015, months after Phoebe’s death. “Was he actively psychotic?” Williams asks. Bolan interrupts for the prosecution and asks to approach the judge. The first bench conference of the day. The purpose of his stay at the hospital was to restore him to competency. “Was it easy to do that?” Williams asks. The first time, she says it took a year. 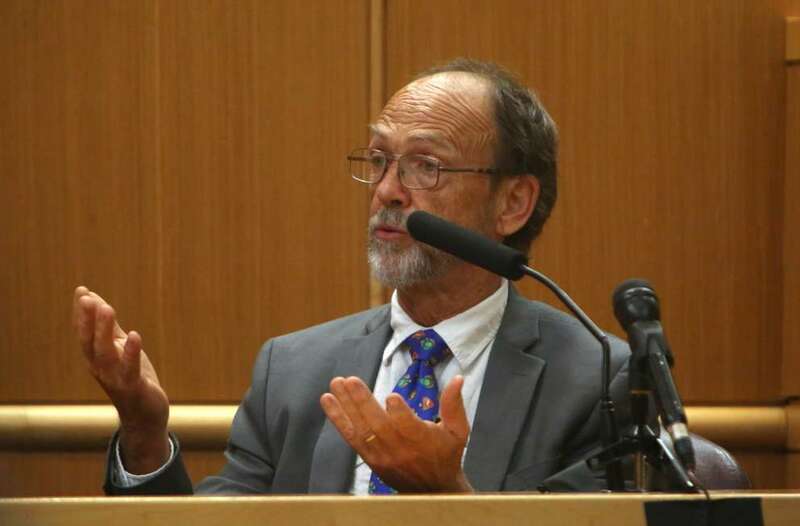 The second time, she says, it took seven months (after Jonchuck was transported back to the Pinellas County Jail, where his mental state slipped). It took 10 medications to get Jonchuck stable, Davis says, and dosages had to be adjusted several times. Another objection, another bench conference. That’s two private meetings between the lawyers and judge so far, and we’ve only heard five questions. The conference breaks and Williams takes a moment to conference with the other defense lawyers. Jonchuck sits at the other end of the table, watching his attorneys. Jonchuck is escorted into the courtroom by a deputy. He wears a green shirt. “Good morning, your honor,” he says, even before she greets him. “Good afternoon,” Judge Chris Helinger corrects. The court calls for the jury. The defense is waiving Jonchuck’s appearance this morning. They say they are not going to call Ryan Wagoner, the psychiatrist they had consulted with to question the methods of one of the prosecution’s experts, Emily Lazarou. Lazarou, also a psychiatrist, testified yesterday. Read about her evaluation in the case in yesterday’s live blog. In surrebuttal, the public defenders will call Heather Davis, a counselor at the treatment center outside Gainesville where Jonchuck has been receiving treatment. She too testified earlier in the trial, which you can read about here. They’ll also call psychiatrist Michael Maher, who already testified once as an expert, saying he believes Jonchuck was insane at the time he killed his daughter. Read more about what he said here. Prosecutor Doug Ellis asks Judge Chris Helinger to not allow surrebuttal. She says that’s not going to happen, but he can object to any parts of testimony he thinks should not be admitted, while the witnesses are on the stand. The defense asks for the jurors to come back at 1:30 p.m., when their next witnesses might be at the courthouse. The public defenders expect their surrebuttal questioning to last just about an hour. After that, it seems, testimony will be over. This has been a long road. Catch up on everything here. We looked at Jonchuck’s latest jail log, and there’s nothing much new to report. He’s still receiving meals and medications. We’re waiting to get started with arguments this morning. The judge and lawyers are talking about the nasty comments they’ve read referencing them on online live-streams of the trial. 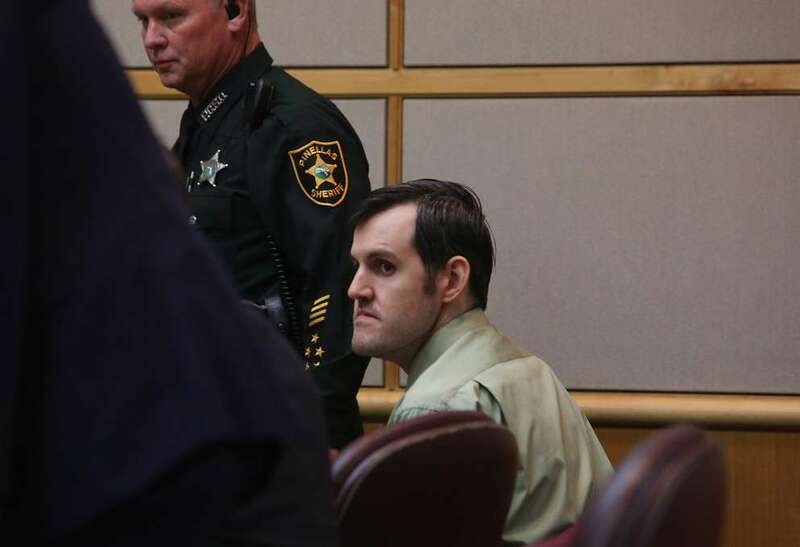 The prosecution finished with its second and final expert witness yesterday, meaning the John Jonchuck murder trial is expected to move today into surrebuttal, or the rebuttal to the rebuttal. 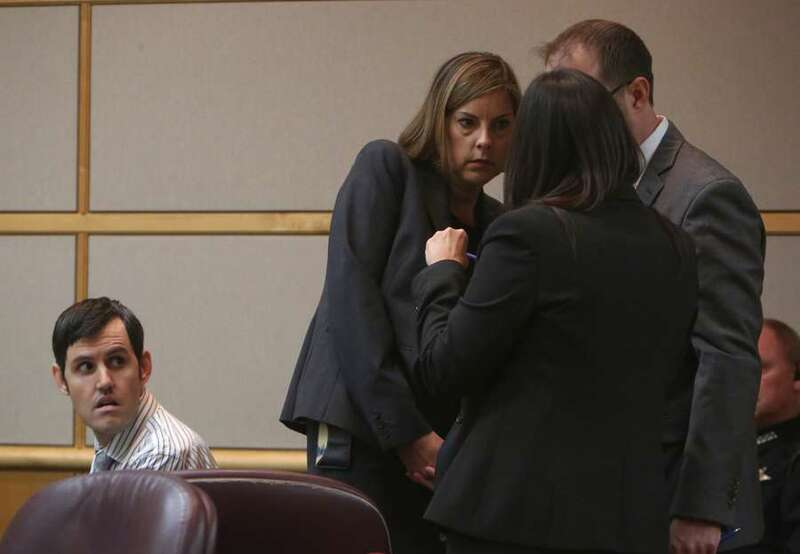 It’s an unusual stage, but the defense will have one more chance to call witnesses to cast doubt on the prosecutors’ argument that Jonchuck was not insane when he killed his daughter, Phoebe, by dropping her off a bridge in 2015. Depending on how quickly the lawyers move through this testimony, it’s possible closing arguments could begin as soon as Monday. The day will start at 9:30 a.m. with arguments between the lawyers. The jury will return two hours later. Until then, catch up on our Day 18 blog here.